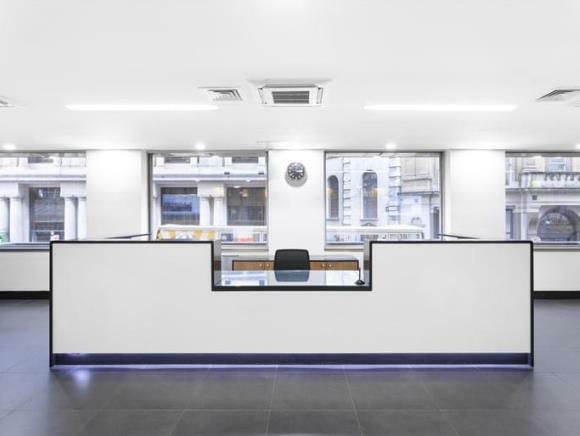 18 King William Street Business Centre is a modern building situated in the City of London. The local area is close to the financial district and has an array of amenities close by including shops, bars, restaurants and cafes. Benefitting from excellent local transport facilities, there is a tube station just steps away from the office rental which has network links to London Bridge and Liverpool Street train stations. The serviced offices for let come in an assortment of sizes and are pre-installed with fast broadband connectivity as well as telephone lines. Whether you are a small start-up business or an established company, these office suites can be occupied at short notice and with minimum effort. Within the building itself there are also plenty of facilities which include a professionally staffed reception to welcome clients and meeting rooms to hire hourly, half daily or for the full day.